Cheese-Smuggling Ring Is Brought Down In Canada : The Two-Way A "large scale Canada-U.S. cheese smuggling operation" has been brought down, after an international investigation tracked criminals who were skirting import duties and Canada's higher cheese prices. The smugglers reportedly transported more than $200,000 worth of cheese. Cheese that was smuggled into Canada may have brought profits of more than $165,000, according to police. 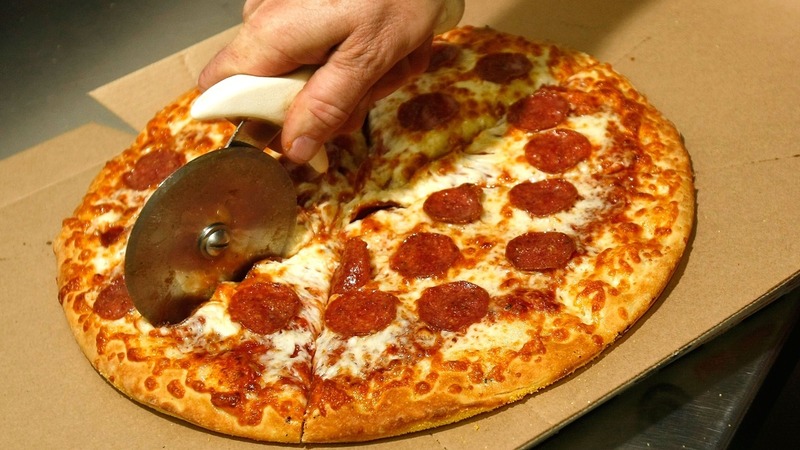 Pizzerias were reportedly a main market for the criminals, who were arrested this week. A "large scale Canada-U.S. cheese smuggling operation" has been brought down, after an international investigation tracked criminals who were skirting import duties and Canada's higher cheese prices. "The investigation revealed over $200,000 worth of cheese and other products were purchased and distributed for an estimated profit of over $165,000," Niagara police said. The smugglers — one current and one former police officer, and one civilian — reportedly sought out pizza restaurants to move their merchandise. News emerged this week that charges would soon be announced against what Mark called a "mozzarella mafia". As Windsor, Ontario, pizzeria owner Bob Abumeeiz told the CBC, he has been asked several times if he's interested in buying cheese smuggled from America, where prices are anywhere from a third to half what they are in Canada. "Cheese is the white gold in the restaurant business. Cheese is 50 percent of the taste on a pizza," he said. "The price is rising every year two or three percent." The network operated in Ontario province, where two of the accused have worked for the Niagara Regional Police Service. According to a police statement, members of a Department of Homeland Security border security task force, the Niagara police, and Canada's border agency have been investigating the case since January. It began with an inquiry into the possible illegal transport of performance-enhancing drugs.